Looking for a printable Washington DC Tourist Map of attractions, tours, museums, monuments, and memorials? Click the preview image above to get the full-sized JPG version of the Tourist Map. 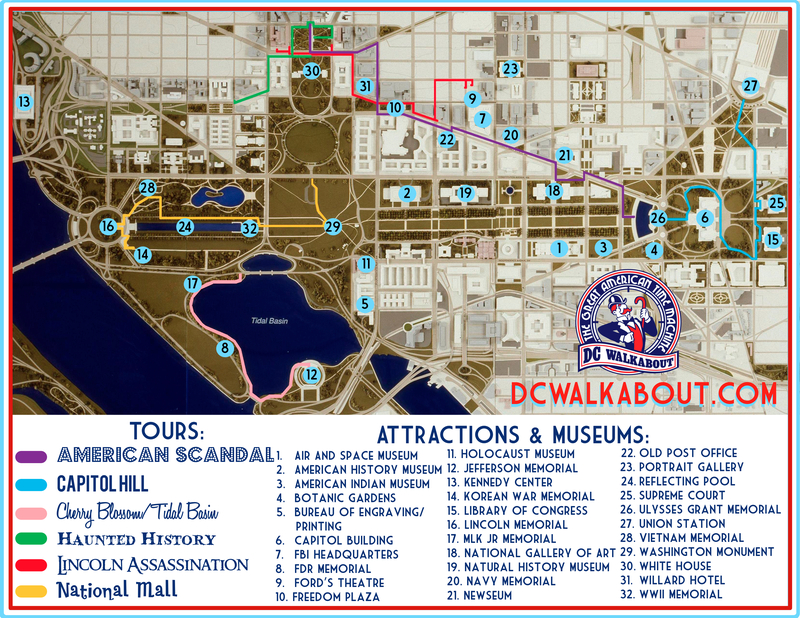 At the bottom of the Tourist Map there is a color-coded key showing the routes of our Washington DC tours, as well as the number-coded locations of all the major memorials, monuments, museums, etc.